The new guidebook for the Lleida-area is now finally here. And what a guidebook it is! Pete O’Donovan and Dani Andrada have put an amazing amount of work into the best looking guidebook I’ve ever seen. 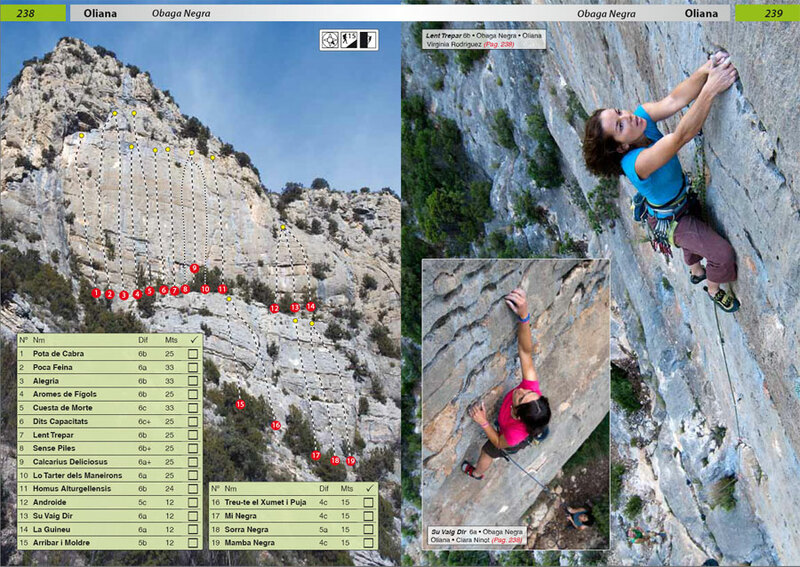 The book is a “selected climbs” guide and includes around 2000 bolted climbs on mostly limestone but also granite. 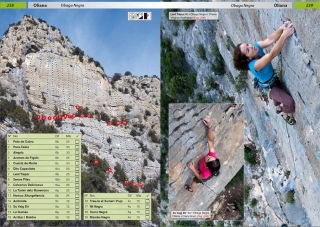 Most of the book is focused on sport climbs but it also includes some multipitch climbing. For a more information about the book, read the review over at Rock+Run. We have had a lot of people asking for the guidebook so the other day I drove over to Pete at his home here on the Catalan countryside to pick up a box of books and have a quick chat. For long have you climbed here? Since 1987, so 23 years. Have you opened many routes? Yes, mostly in Camarasa, one of my favorite areas. How long have you worked on the guidebook? I tend to underestimate the work that has gone into the book. We have worked focused for 1½ years but before that I have of course spent days on end taking photos that we have used in the guidebook. Dani on his side has spent many years bolting routes and collecting information about the different areas. So, yes, a lot of work. Why have you made this guidebook? For many reasons. First of all we are very proud of the area and the climbing we have here. We also want to show people that they don’t need to go to just a few areas but that there is a lot, lot more out there to choose from than Margalef, Siurana and Rodellar. By showing these other areas we can help the development of more climbing. For example, Fixe is sponsoring us with a lot of anchors and many, many hangers. These are being distributed to the developers around the Lleida-area right now. To further support the development we write about the dedicated guidebooks that exists for some of the areas. Has it been hard to find information and topos for all areas? There has been some “information trading” going on between us and other guidebook authors, for example for Coll de Nargo in the Alt Urgell area. Some topos have been available on web pages for many years without being printed in any guidebook so in these cases we have taken the decision from case to case if we include them in the guidebook or leave them out. Our goal was to include the best sectors of the most important climbing areas. I would say that we have succeeded. So, finally, for the camera geeks. What camera do you use? I use a Nikon D3 and Nikon pro lenses, mostly the 14-24 mm, F2.8 and the 24-70 mm, F2.8. For multipitch I use a Nikon 200. Now when the guidebook is finished I’m not brining any camera at all when going to the crags. It is great! Interested in climbing in Lleida or buying the guidebook? Contact us at par@climbinspain.com. Also remember to check out the lodging options we have and of course check out the cheapest place to rent cars.